Each pick last around an hour. Dates and venues are subject to change, please check social media and our news pages here to confirm. We will be doing a big litter pick on Saturday, 4th March starting 2pm at Town Bridge. This will take place as part of our contribution to Keep Britain Tidy’s National Campaign. 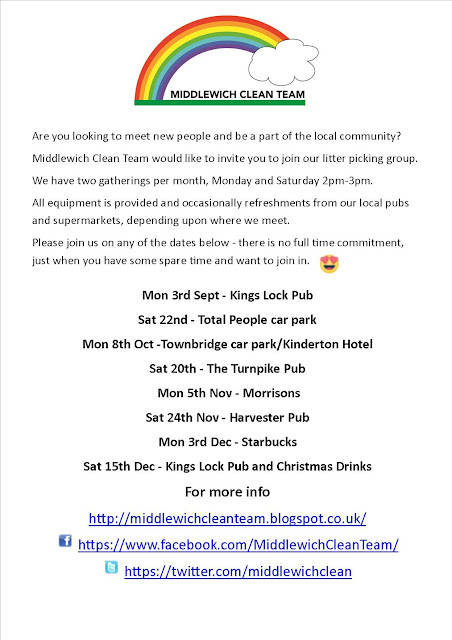 Litter Pick dates are also listed on our Facebook Events Page.